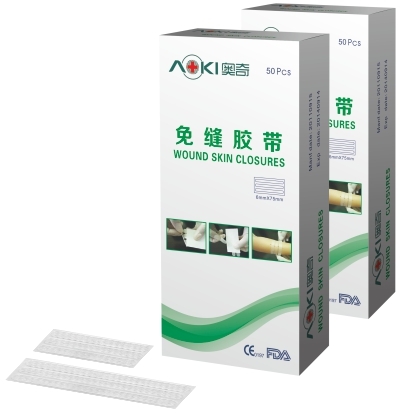 It is a good assistant for sewing up the surgical wound caused by surgical and cosmetic surgery operation. Caring the surgical wound after taking out stitches, reducing scar formation. 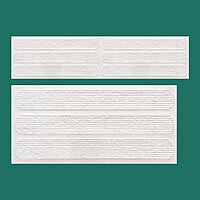 Bonding and repairing the little wound by hurt in daily lift, such as the stab wound, the cut wound and so on. Firstly cleaning the wound by physiological saline and keep it dry completely. 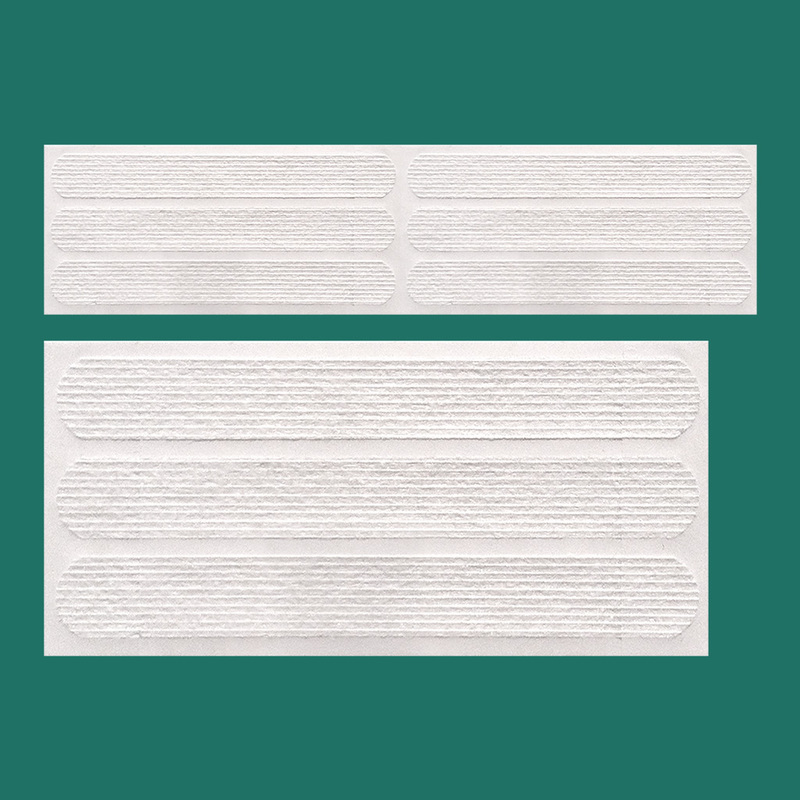 Secondly, paste the closure from the 2 edges successively to avoid the wound dehiscence. 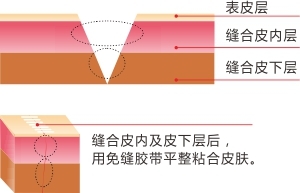 Secondly, applying it from the two edges of wound to the middle for avoiding the wound dehiscence. At Last, press the closure smoothly to keep it pasted well, assure there is no crevices.